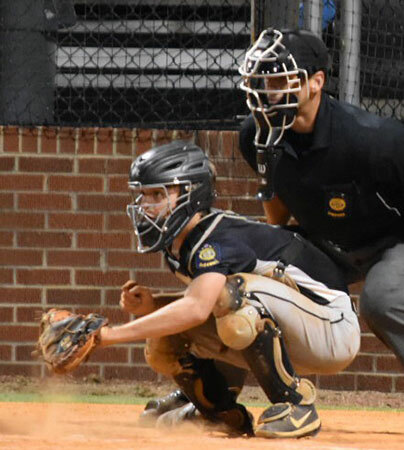 CONWAY — After lightning delays kept them waiting and waiting, finally producing a late start time on Sunday night, in the early hours of Monday, the 2018 season of the Bryant Black Sox Junior American Legion team came to an end. 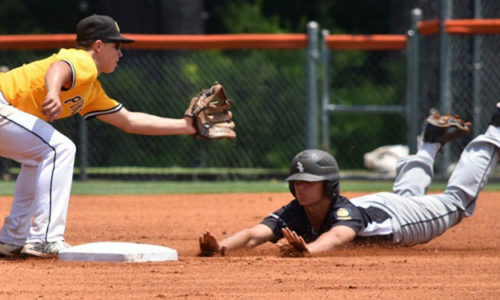 Battling through the losers’ bracket, with the tourney down to the final four teams, the Sox were faced with a rematch with the Greenbrier-South Side Junior team, which they had defeated 14-4 in the Friday’s opening round of the Junior State Tournament at Hendrix College. There will be a new Junior American Legion State champion. This time, Greenbrier jumped out early, scoring three runs in each of the first two innings. 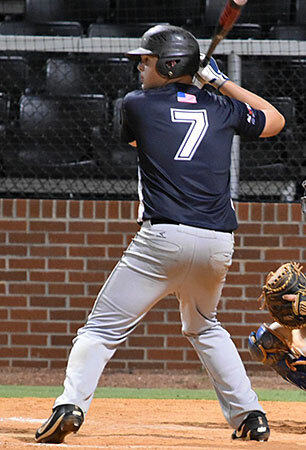 The 6-0 lead held up against a Bryant comeback and Greenbrier advanced to the losers bracket final against Jacksonville Gwatney on Monday with an 8-4 win over the Sox. “We didn’t play very well,” said Sox manager Tyler Brown. “We played three really bad innings to start the game and then, after those three innings, we got back in it but it was too late. They threw a lefty that we just couldn’t hit. “After they finished the game before us, it was about 10, 10:15. They gave us the option to come back tomorrow or play the game because there was a heat shower that just popped up. That just made me even more mad because I asked that question four hours before. And now they were asking me. We’d been waiting around for five-plus hours to play the game. That’s what made me so mad. Technically playing as a 17-and-under team though they were mostly 15-year-olds, the Sox they posted a 17-11 record. As a 15-and-under team, they finished 11-5-1. “It was fun,” Brown said of the season and the team. “They’re really one of the younger groups that I’ve had and when you get a young group, you’re going to have your really good days and you’re going to have your really bad days. There’s no in between. “The goal was to get better throughout the season and I think they all did that,” he assessed. “So, I feel like it was very successful. These kids have a bright future and, come next year, we’ll be the favorites to win that thing — as long as everybody stays together and stays with it, knows what the ultimate goal is. That’s getting better and winning at the end of the day. I think we got that through to them. 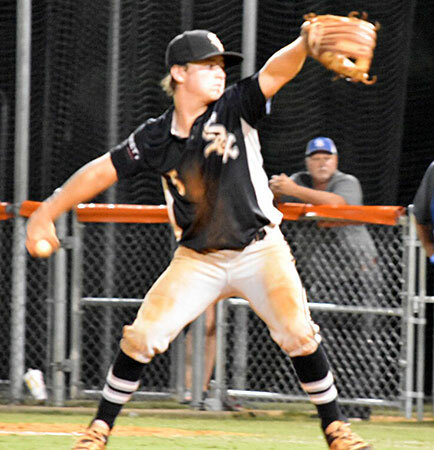 After whittling the lead to 6-4, in the second inning, the Sox were unable to break through as Greenbrier tacked on a run in the third and another in the fifth. Bryant was held to six hits, though they waited out six walks, by Greenbrier’s Isaac Hulse and Brody Smith. 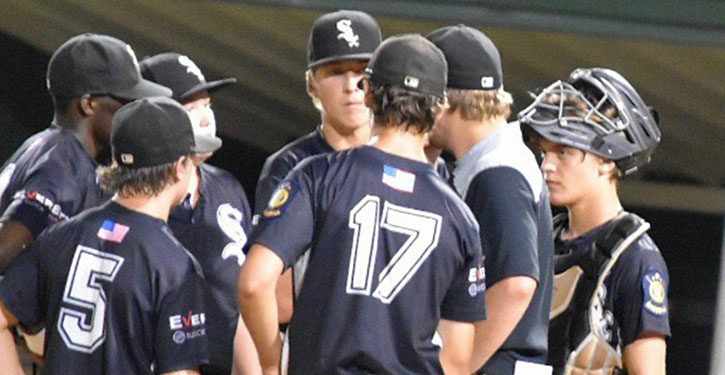 Seven walks and five errors undermined the Black Sox’ effort. Josh Turner, Brayden Lester, Noah Davis and Slade Renfrow pitched for Bryant. Renfrow worked the final 2 2/3 innings without giving up a hit. He struck out five. He and Ryan Riggs each had two hits. 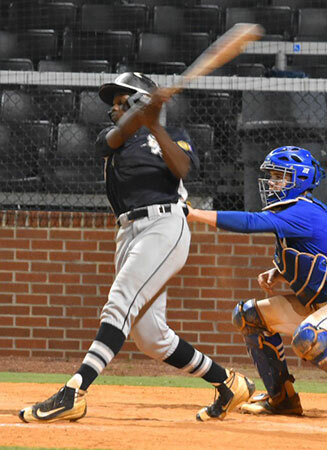 Zion Collins and Will Hathcote each had hits with Hathcote providing a two-run double during the second-inning rally. Greenbrier grabbed a 3-0 lead in the first. Easton Swofford led off with a double and Riley Campbell sacrificed him to third. Dalton Linn singled to bring him home then scored when Smith tripled. With two out, Augustus Holand blooped an RBI single to shallow left. Riggs managed a one-out walk in the home first, but the Sox were unable to take advantage. The second began with Ashton White reaching on an error and Hulse beating out an infield hit. Swofford bunted them to second and third and Campbell doubled them home to make it 5-0. A base hit by Linn was misplayed in the outfield and Campbell scored. Bryant’s uprising in the bottom of the second began with a walk to Lester. Renfrow’s bunt went for a hit as he beat Hulse’s throw to first. Collins got a bunt down and beat it out for a hit to load the bases for Hathcote, who delivered his two-run double. A sacrifice fly from Lawson Speer trimmed another run off the lead and, after Davis walked, Riggs singled to make it 6-4. Hulse ended the rally there with a pair of strikeouts. A one-out walk to Hulse in the top of the third led to Greenbrier’s first insurance run. A wild pitch allowed him to take second then, a throwing error on Swofford’s sacrifice bunt, brought Hulse around to score. 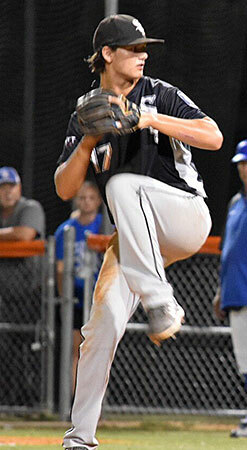 Davis took over on the mound and, after issuing a walk to Linn, struck out Smith and got Nicholas Benson to line back to the mound to end the inning. A lead-off walk to Lester went for naught in the bottom of the third. After Greenbrier was retired in order in the top of the fourth, Speer worked a one-out walk and a two-out single by Riggs gave Bryant a chance but Hulse induced a pop up to escape. A pair of walks and a one-out single by Linn in the top of the fifth made it 8-4. With the bases loaded, Renfrow relieved and struck out a pair to send it to the bottom of the fifth. A two-out single by Renfrow was all the Sox could muster in the home half. After Greenbrier was set down 1-2-3 in the top of the sixth, Speer drew a one-out walk but was stranded. In their last chance, the Sox were unable to muster a base-runner against Smith as the game and their season concluded.